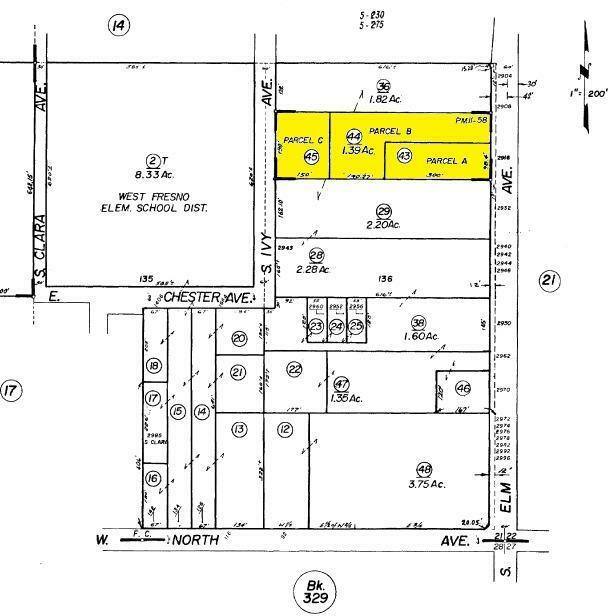 2.74 Acres south of Jensen Ave. and north of North Ave. on Elm Ave. near the Annadale Industrial Park. 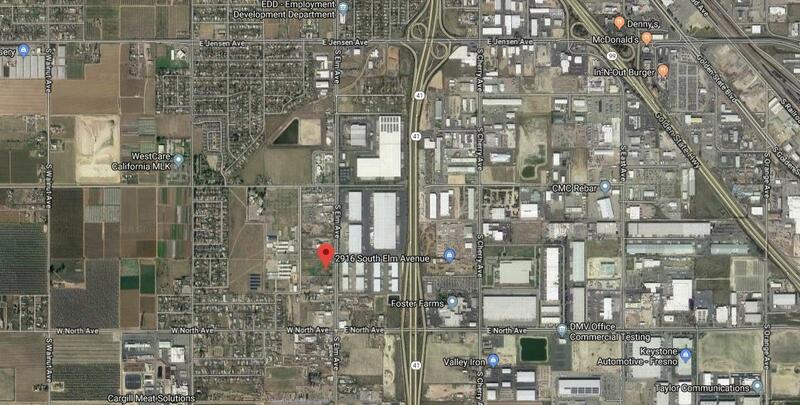 Highly visible fenced parcels with easy Freeway 99 & 41 access. Parcels 328-150-43 & 44 are zoned NMX. Parcel 328-150-45 is zoned RS5.